You're used to walking away from a doctor visit with a prescription that's scrawled with writing you can't read. Maybe you've wondered how anyone could. Next stop - the pharmacy to drop off the prescription. You either wait around for the prescription to be filled, or you make yet another trip to pick it up. This is the second installment of a ten part series addressing personalized medicine. Part 3: Should Patients Trust Their Doctor's Electorinc Record System? You're not sure your doctor or pharmacist know what other medications you're taking. You wonder if there could be a bad reaction. And you never know how much this medicine will cost. 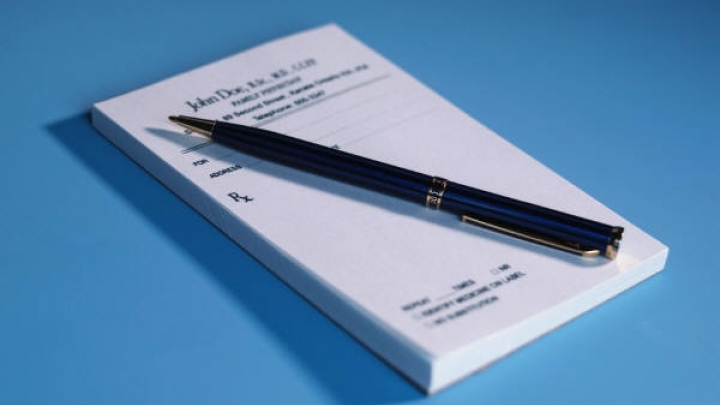 Did you remember to ask the doctor to prescribe a generic form? Getting your prescription(s) filled takes a lot of time, effort and worry - not to mention money. Electronic prescriptions, or ePrescriptions, simplify the whole process, saving precious time and money while dramatically improving the safety and effectiveness of prescribing medicines. ePresciptions are the newest way for you, your doctor and your pharmacist to communicate to make sure you receive the medicines you and your family need as quickly, easily and cheaply as possible. Instead of scribbling on a pad and pen, your doctor enters all the information into a computer or mobile device and sends it directly to your pharmacist over a secure network. The prescription is on its way to the pharmacy before you even leave the doctor's office. The process saves you time and money because you don't need to make a separate trip to drop off the prescription. Your doctor and pharmacist have a complete record of the medications you have taken and are currently taking. Because of this complete information, negative drug interactions are immediately flagged within the system. Your doctor knows your insurance information and what medications it will pay for, avoiding potential conflicts. Finding the cheapest form and source of the drug is a snap so you can potentially pay less for your medicines. You can even receive reminders for taking your medicine. Every step in the ePresciption process is more efficient, saving resources all along the way. No more multiple trips to and from the pharmacy. Just think of all the time, money, energy and environmental savings! ePrescibing can be and often is part of an electronic medical record (EMR) system that forms of the backbone of Personalized Medicine, which delivers exactly the care you need to meet your individual needs. Electronic prescribing, implemented properly, can eliminate serious errors, such as the thousands that occur every year when pharmacists misread a doctor’s scribbled prescription. This problem alone is huge for patient safety. The Institute of Medicine estimates that the average hospital patient in the U.S. is subject to at least one medication error per day - wrong med, wrong dose, wrong time or wrong patient! The financial cost of treating the harm done by these errors conservatively comes to $3.5 billion a year. Each year 1.5 million patients are adversely affected by medication errors, causing an estimated 7,000 deaths. Although doctors and pharmacists are trained to know these things, information about interactions is not always distributed among professionals quickly enough. Also, the provider often doesn't know the range of drugs that an individual may be taking. Because ePrescriptions collect, store and share the necessary information about a patient’s medication history, serious drug interactions will become a thing of the past. Quality of care is improved immediately and in turn, costs associated with preventable mistakes are avoided or eliminated. Laws are in place to protect the privacy of your medical records, and ePrescribing complies with those laws. You decide who has permission to know what medicines you take. Also, ePrescriptions are sent over dedicated, encrypted, totally secure networks. Since 2002, the company Surescripts has been operating the nation's largest ePrescription network and supports a rapidly expanding number of healthcare organizations nationwide. In 2009, 18 percent of prescribed drugs were routed electronically, according to Surescripts. Texas, which ranks 22nd in its utilization of ePresciptions, has seen a growing number of physicians and pharmacies participating in this new heath information technology. In 2007, a total of 1,179,465 prescriptions in Texas were routed electronically. In 2009, that number had climbed to 13,513,723. In that same period, the number of physicians writing ePresciptions jumped from 1,315 to 4,888. Despite this growth, change comes slowly in the healthcare industry. According to Surescripts, only 60 percent of independent pharmacies in the U.S. can accept electronic prescriptions. Patients not taking their medication as prescribed is a large and growing problem. Noncompliance impacts both the health of the individuals and also the entire healthcare industry. Not taking essential medications is a frequent cause of preventable hospitalizations and patient illness, which costs the U.S. healthcare system an estimated $300 billion annually. Once again, ePrescriptions can help. Doctors and pharmacists can use smart phone applications to send patients reminders about everything from medication usage to the importance of staying active. If medicines aren't being taken because of cost concerns, including co-pays and out-of-pocket expenses, physicians can find which pharmacy charges the least amount. Pharmacists can also work with patients to find the lowest cost solutions. This is just one more example of how information technology can be used to provide Personalized Medicine that offers patients exactly the level of care they need. Not surprisingly, however, the typical patient sees, on average, 3 MDs while 80% of patients visit just one pharmacist. So clearly, the pharmacist is as essential to Personalized Medicine as the physician. ePrescriptions bring pharmacists into the care team, giving them the ability to support and help each patient individually. This support, with the patient’s cooperation, will nearly always lead to better outcomes and lower costs. We feel so strongly that 21st century medical practices cannot attain the goal of fully Personalized Medicine without EMRs, that in our last Special Report we recommended that if your doctor doesn’t have a EMR.... you should find a new doctor. Because of the critical importance of ePrescriptions, which work closely with EMRs, we feel the same – if your doctor doesn’t use an ePrescription system, encourage him to get one!